Yoga Classes in Barcelona with Simplybe. Now you can choose from yoga or pilates. Yoga has become more and more popular in Barcelona in the past 10 years as people become more caught up in the daily routine and leave less time to relax and disconnect. As we get used to technology and todays society’s norms we step away from using and feeling our bodies and focusing our minds to aid relaxation. Yoga can help you reconnect; mind, body and soul. Yoga was originally developed as a meditative practice designed to enhance ones spiritual self by quietening and focusing the mind. It connects the mind, soul and body (the 3 elements in Hindu beliefs) as a physical practice, regular practitioners will find an increase in strength, flexibility and balance. At simplybe we teach Vinyasa yoga which is a high energy, flow based yoga class that uses breath work with a set series of poses during each and every class. A Vinyasa yoga class is designed to challenge the body by keeping the body moving, which improves circulation, burns fat and releases toxins via sweat. Our classes suit all levels, everyone is encouraged to work to their own level. The classes hold maximum of 8 students and as a result we are there to help you during every pose, we want you to get the most you can out of your yoga class . Our Vinyasa yoga classes are a perfect complement to our Pilates classes as they have many similarities and both offer a challenging workout. Everyone can benefit from practicing yoga with a little bit of effort, yoga is not a practice that holds all the answers but may help you to open your mind and discover a different perspective by simply learning to control ones breath, by feeling every muscle engage in a pose, by taking time to live in the now. 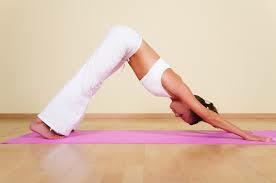 We will be teaching group and private Vinyasan flow Yoga classes in both English and Spanish. You can practice yoga in our Barcelona studio or in the comfort of your home.